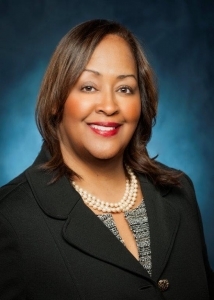 Phyllis P. Harris serves as the Senior Vice President and Chief Compliance Officer for Walmart Stores, Inc. In this capacity she is responsible for developing and overseeing environmental, logistics, fire and OSHA compliance programs for 4300 Walmart Stores, Inc. facilities in the US and Puerto Rico. Prior to coming to Walmart, Ms. Harris served as the Deputy Assistant Administrator for the United States Environmental Protection Agency in Washington, DC, where as the senior career official for the Office of Enforcement and Compliance Assurance (OECA), she directed the development and execution of national enforcement, compliance assurance, NEPA, and environmental justice programs. Prior to her appointment as Deputy Assistant Administrator, Ms. Harris served as the Regional Counsel for US EPA’s Southeastern Office in Atlanta, GA.
Phyllis Harris received her law degree from the University of Florida, Levin College of Law and her BA from Converse College in Spartanburg, SC.